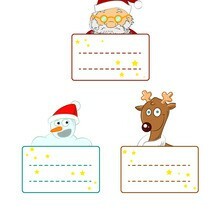 Kids will be sure to have a merry good time with these delectable clothespin paper Christmas tags. 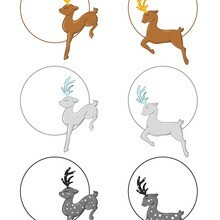 The NEW printable cut out paper Christmas tag craft created by Hellokids is an easy craft activity for children and a fun way to add dazzle to your holiday festivities. 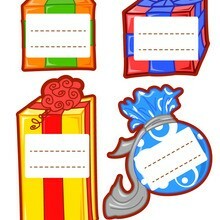 The [Christmas] paper tags can be used to labels glasses and seating arrangements, party name tags, gift labels, hanging Christmas art or even as a jolly bookmark. Choose from the many wonderful Christmas designs available: Santa, snowmen, Christmas Trees, Teddy Bear, Gifts and Reindeer. Use your imagination and have a great time with this craft activity creating these lovely paper Christmas tags. There are many NEW Christmas crafts and fun activities for you to discover and keep entertained with during the holiday season. 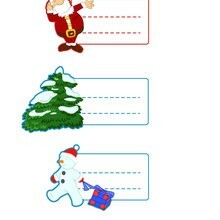 Try our NEW Christmas maze printables game, write Santa a letter on our wonderful NEW Christmas writing paper designs or make fun Christmas paper puppets to play with or hang on the tree. There are many Christmas crafts, activities, stories and games for the whole family to enjoy!